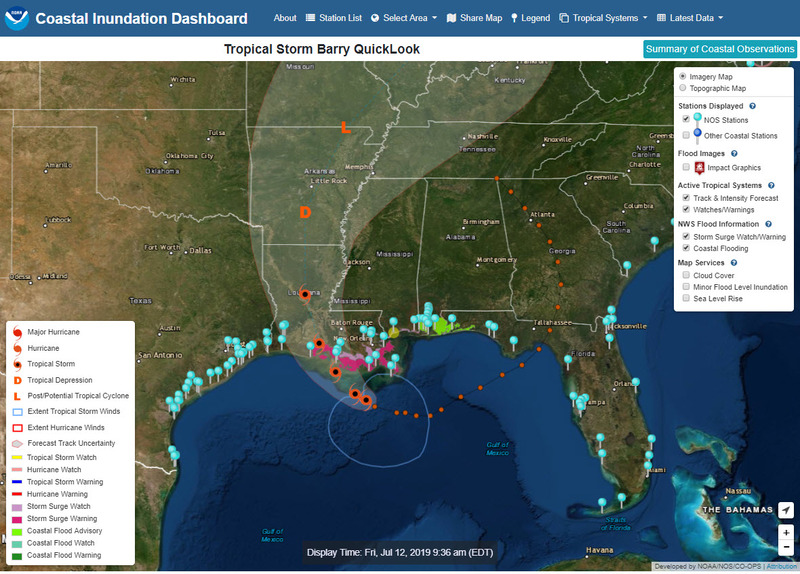 View real-time and historical water level and inundation information in an interactive web mapping application. Tide stations are available for three regions—New York City and Long Island Sound, Lower Chesapeake Bay, and coastal North Carolina—with additional regions to follow. 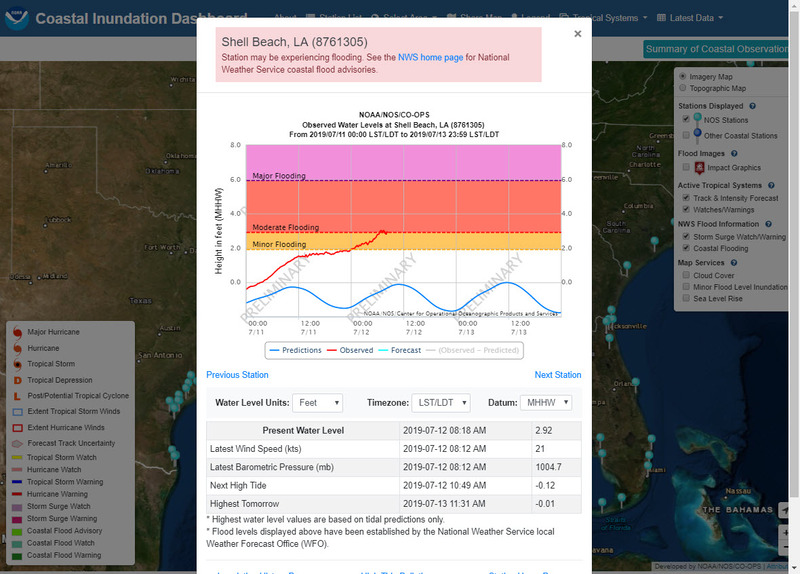 The tool also displays sea level rise and minor coastal flooding inundation map layers. 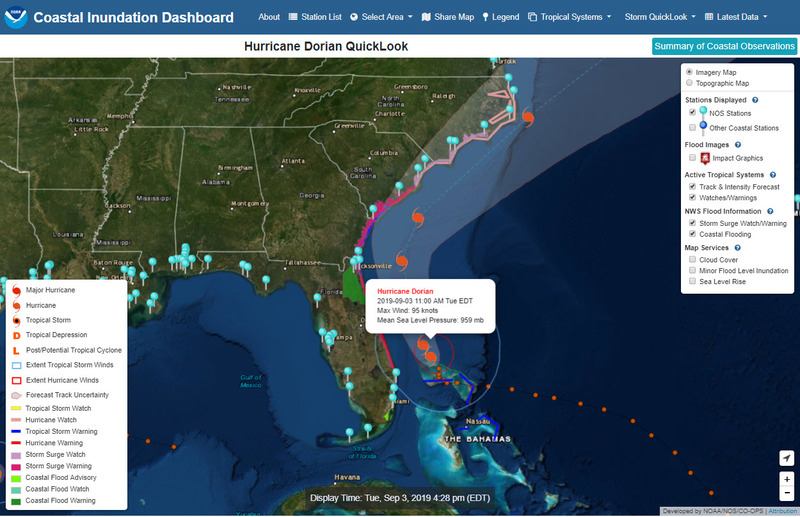 To launch, please visit https://tidesandcurrents.noaa.gov/inundationdb/#.